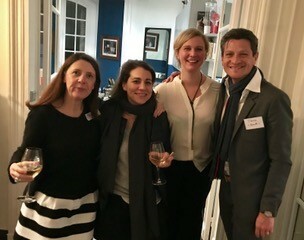 Javier Cedillo Espin ‘00, CEO of onefinestay hosted the event in one of their fine properties in Paris on December 14, 2017. We presented the new concept of red and white wines by the glass from D-Vine the first wine tasting machine that aerates and brings to the right temperature high quality wines in less than a minute. This technological innovation has been created in France by a young company called 10-Vins and has already won several awards. 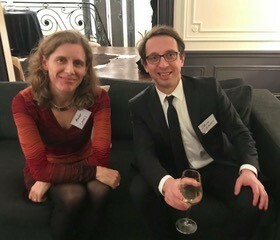 The food was sponsored by Les Bocaux du Bistrot: elected “Best Parisien Bistrot” in 2012, the team created small traditional dishes with local products, served in jars as our grand-parents did.